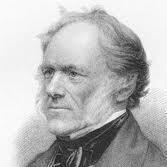 Charles Lyell was a scientist whose ideas were extremely important in the development of theories of geological and evolutionary change. His most influential textbook was Principles of Geology, published in 1833. Other well-known books written by Lyell are Travels in North America, with Geological Observations and The Antiquity of Man. Because of his great influence on the development of the principles of his discipline, Charles Lyell is sometimes referred to as a father of modern geology (along with another Scot, James Hutton, 1726-1797). Lyell's most important theory, which built upon earlier work of Hutton, was the so-called theory of uniformitarianism, which largely refuted the previously widely believed doctrine of catastrophism. According to the theory of uniformitarianism, major geological forces that are observed today also occurred in the past, and likely throughout the history of Earth. Examples of such forces include volcanism, earthquakes, and erosion by wind, water, and gravity. Moreover, the theory states that these "existing causes" have been responsible for major changes that have occurred in the structure of the Earth during its geological history. A central element of the interpretation of the theory of uniformitarianism is the importance of time (over extremely long periods of time, even relatively slow-acting forces like erosion by wind and water can have an enormous influence on the character of Earth's surface. Catastrophism is an earlier, very different doctrine that was widely believed by many scientists, but was largely been replaced by Lyell's (this kind of rapid change in scientific understanding is sometimes referred to as a "revolution"). According to catastrophism, major changes in Earth's structure, as implied by rapid changes in geological stratification and in fossil assemblages, were caused by sudden, violent, cataclysmic events, rather than by gradual, evolutionary and environmental changes. Before the influence of Lyell, most scientists and other people (at least, those of European culture) believed that Earth and its species only had a history of about 6,000 years, based on a literal interpretation of the Book of Genesis in the Bible. Moreover, according to that doctrine Earth and all life had been formed by God over a period of only six days. However, the observations of Lyell and other geologists of his time were reporting clearly contradictory evidence about the forces influencing the geological character of Earth and the evolution of its existing species. These observations of the real, natural world suggested that life was much more ancient than only a few thousand years, and that existing species appeared to have evolved from previous ones, which are now extinct. These ideas of Lyell and his colleagues were extremely influential on other scientists, including Charles Darwin (1809-1882), who is best known for his theory of the role of natural selection in driving evolutionary change, published in 1859 in his famous book, On the Origin of Species. Another important concept championed by Lyell, also building upon previous work by James Hutton, was that older rocks were generally buried beneath younger ones. As such, careful excavation and studying of geological layers and the fossils they contain could be used to understand the geological and evolutionary history of Earth.